The flood of stories on government spying will not be slowing soon—in fact the majority of the most important documents detailing how the U.S. National Security Agency collects personal data have not been published yet, journalists from U.K. newspaper The Guardian said on Tuesday. The British newspaper responsible for breaking many of the stories surrounding the government surveillance program known as Prism said that there are thousands of relevant documents that it has obtained from former NSA contractor Edward Snowden. Of those documents, the majority of ones that should, and will, be published still remain, said Glenn Greenwald, a reporter for the paper who has been covering many of the leaks. Greenwald’s comments, and those of the Guardian’s U.S. editor in chief Janine Gibson, were made during an online Q&A on Reddit’s site. The paper did not say what types of disclosures would be coming, though Gibson said that the paper’s motive was to report stories in the public interest. “There is a debate that needs to be had about the size and scale of government surveillance,” she said. The Guardian and The New York Times have been at the forefront of breaking many of the recent stories surrounding the NSA’s spying programs, based on documents obtained by Snowden. In August the papers announced they would work as partners to give the U.S. paper access to documents leaked by Snowden. Although the Guardian did not scoop itself during the Q&A, Greenwald and Gibson’s responses to people’s questions provided many more details about how the paper goes about reporting the leaks. The journalists were asked to explain why the leaks are reported piecemeal rather than all at once. The reasons, they said, are many. For starters, it would go against the agreement they made with Snowden. “If he wanted them all dumped, he could have done it himself,” Greenwald said. But also, it would be impossible for the public to process such a large amount of information, and irresponsible for the paper to go to press without first understanding the implications of publishing the documents, Greenwald said. “The debate that we should be having would get overwhelmed by accusations that we were being irresponsible and helping the terrorists,” he said. To show how careful they are, Greenwald and Gibson revealed a nuanced process for seeking the advice and response of the government in the U.S. and in the U.K. before publishing a story on the disclosures. The process involves approaching the administration, telling them what they’re reporting on and identifying any documents that they might quote from or publish, Gibson said. “We ask them to share any specific national security concerns that would result from those disclosures,” she said. Sometimes officials respond with redaction requests, the Guardian said, but often the paper has already made its own decisions about redactions of obviously sensitive operational details or people’s names that shouldn’t be published, Gibson said. Some other theories floating around about how the paper decides to publish leaks are bogus, the editor said. “Obviously we try and make sure each story has as much impact as possible, but we tend to publish when we’ve found a story, worked it up to our satisfaction, determined that it’s in the public interest, and it’s ready,” she said. There are several circumstances under which The Guardian would not publish a story. Speaking personally, Greenwald said he would not publish documents that could help other states learn how to better spy on their own citizens. Also not to be published: the names of covert agents, the names of agency employees who are not high-ranking officials, and documents that could unfairly defame someone, he said. One question is the extent to which the revelations surrounding the NSA have constituted actual illegal activity. The journalists were asked to address this, and whether there would be more “smoking guns” providing undeniable proof that the government has broken specific laws. “I think there already are things clearly showing the government broke the law, including the Constitution,” Greenwald said. 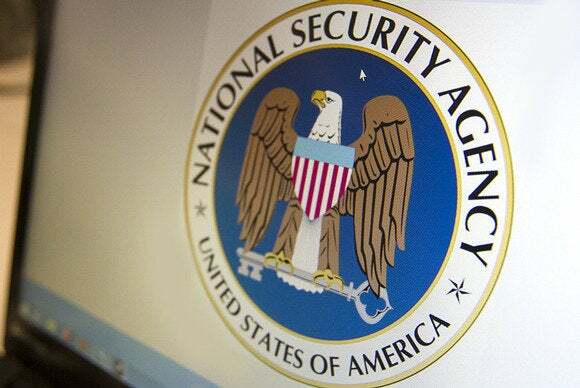 Some previously classified documents have shown that the NSA has operated illegally in certain cases. In August a 2011 court ruling from the Foreign Intelligence Surveillance Court was made public, saying that the way the NSA collected data violated the Fourth Amendment. Despite multiple disclosures, some readers seem indifferent, apparently already having assumed that the government monitors citizens’ communications as part of counterterrorism efforts. That response, The Guardian’s Gibson said, is baffling. “It’s inexplicable, given the number of administration voices all welcoming the debate and acknowledging it would not have happened without Edward Snowden,” she said.